509. The ratio of the maximum exports to the minimum imports was closest to ? 510. How many countries exhibited a trade surplus ? 511. The total trade deficit/surplus for all the countries put together was ? 512. The highest trade deficit was shown by which country ? 513. 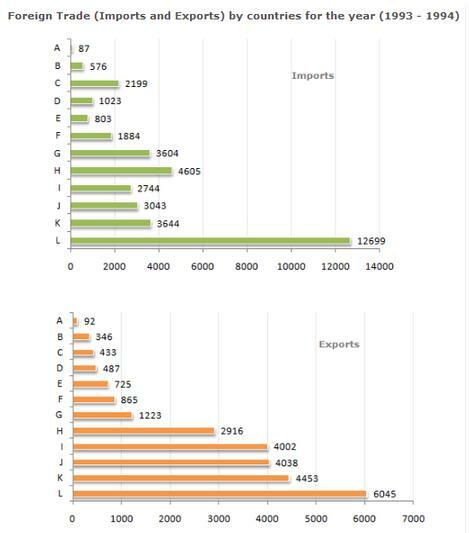 The ratio of Exports to Imports was highest for which country ?